Selected items in the news….. They may work with different modes of transport but the bosses of Bournemouth International Airport based Bliss Aviation and Ferndown Industrial Estate based Wayside Transport Ltd find that their hopes and requirements for life after Brexit are very similar. Both businesses make the majority of their turnover from training people to either learn to fly or to professionally drive heavy goods vehicles for a living. 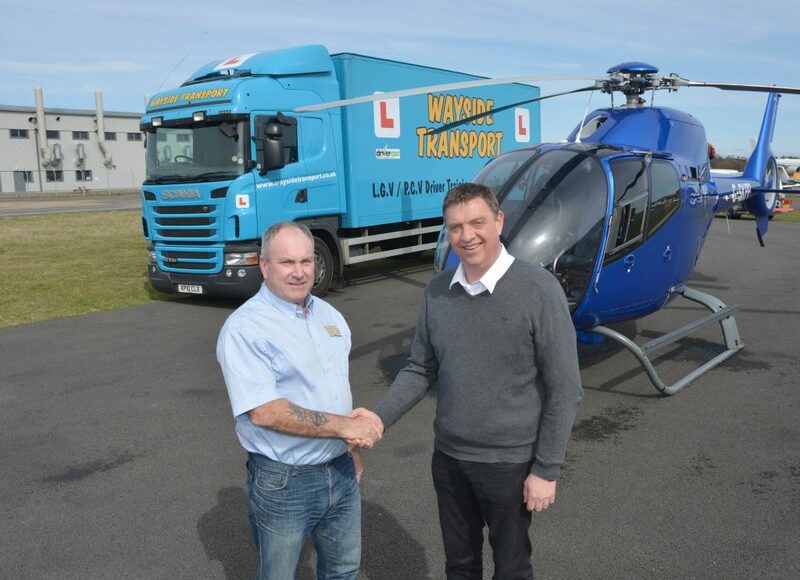 Both Bliss Aviation’s Chief Executive and a helicopter flying instructor Gary Ellson and Simon Watton Training Director who founded Wayside Transport in 1998 train people to work in an international environment beyond Europe. Neither expects much change to the demands of the training levels other than the rules and regulations converting to UK legislation as the need for the smooth movement across boarders will be essential to be able to operate competitively and efficiently. Gary anticipates that the requirements to fly within international airspace will have to keep pace with Europe or there will be restrictions. Legislation on the use of different designs of aircraft can vary between countries but when it comes to flying commercially, the rules are internationally agreed. Bliss aviation employs 8 full and part time people, Wayside Transport has a team of 6 training and administration people. Again both agree that the overheads of running their businesses, especially fuel cost, rates, tax and administration charges need to be kept down after Brexit. They can only hope for a positive outcome – but it is hard to keep your fingers crossed whilst driving and flying! After introducing the Shutelake range of speciality coffee just under 2 years ago at the 3 Stewarts Garden Centres, demand has increased to a point where take away packs have now been introduced. Ivan Harris started Poole based Shutelake Coffee with his family following 7 years’ experience in the coffee industry and now supplies a variety catering outlets across the UK. 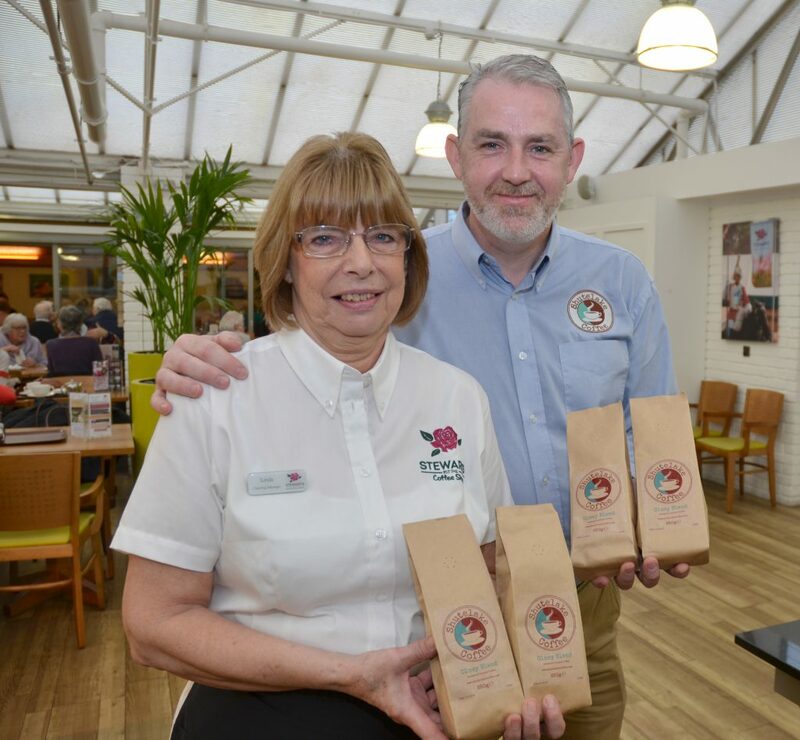 Linda Sessions, Catering Manager at Stewarts, said that whilst its obvious that there is a huge demand for well-made coffees in the UK, the introduction of the blends, including decaffeinated, has boosted sales within the Garden Centre cafes. Shutelake also provides the barista training for Stewarts 80 catering staff and provides essential dosing and quality checks on the coffee machines. Stewarts are also withdrawing its takeaway cardboard cups as part of their contribution to recycling initiatives. 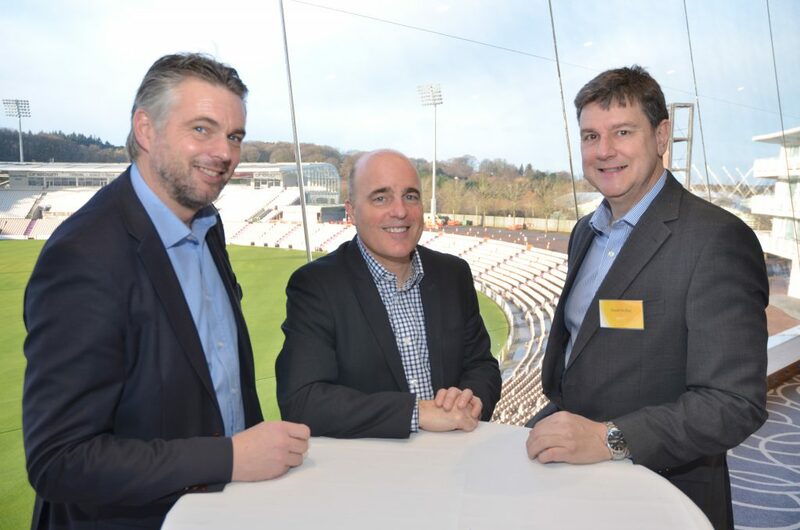 Members at the last quarterly meeting of Southern Construction and Property Breakfast Club have predicted that demand for commercial and residential construction will remain strong for the foreseeable future. 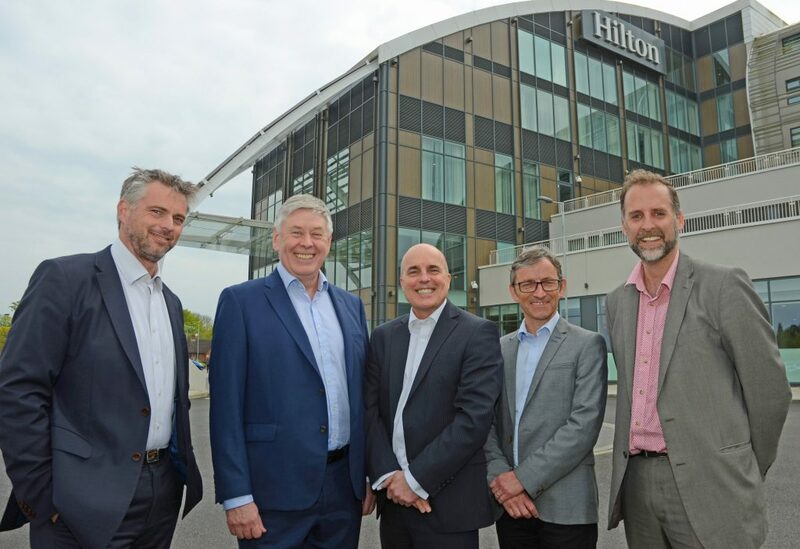 Considered opinions from various business professionals from the Solent region who attend the meetings held at the Ageas Hilton Hotel, were likeminded when asked to appraise business during 2017. Offering competitive fees whilst ensure a reasonable profit and working within tight profit margins in a difficult economic climate will continue to affect developers, contractors, project managers, cost consultants, consulting engineers, architects, and planning specialists in the region. Justin Galloway Acheson Construction Ltd, Nick Groves of WFBA, David Ardley from Gleeds. NHS Digital Data Report showed that there was a 14% rise in sicknotes relating to anxiety and stress between 2015-16 and 2016-17 and that Fitness to Work notes for mental health problems were being issued for longer periods of time than any other types of illness. Ringwood based consultancy View HR reports that the number of clients seeking advice regarding mental health issues has dramatically increased over the past few years. View HR’s Managing Director Gemma Murphy does not expect to see the problem faced by employers diminish for a number of valid reasons. The majority of people find it difficult to talk about mental health at home and work. Therefore, mental health issues do not normally manifest themselves until they become a bigger problem for an individual. Whilst there is often the old British approach of brush yourself down and get on with it, it’s not that simple for everyone, mental health conditions can be triggered by work, financial issues, genetic disposition, life events, post-traumatic stress, bereavement, breakdown in relationships, post-natal depression. 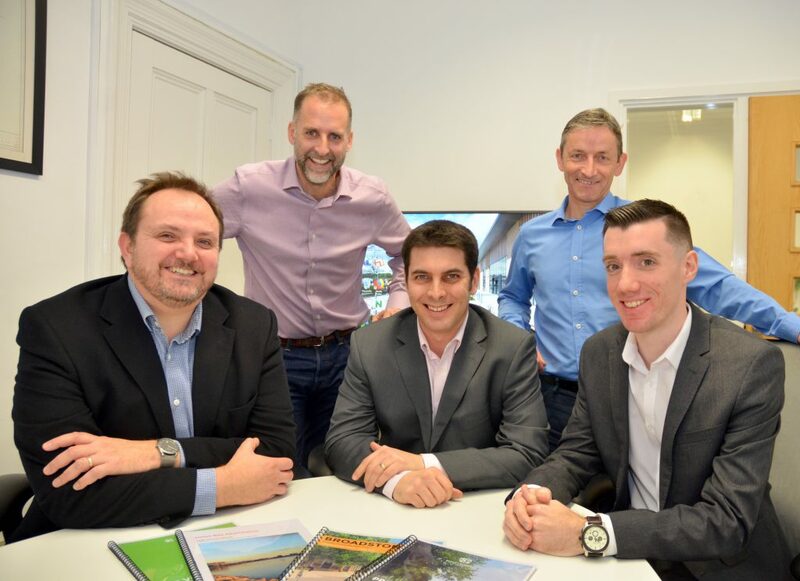 Three members of the busy team at Southampton based architects and masterplanners Boyle and Summers have received promotions from the founders Tony Boyle and Richard Summers. Long serving team members Andrew Hoare and Steve Smith have been promoted from Associates to Associate Directors and Steven Dorricott, who has been with the company since the Summer 2016, becomes an Associate. Richard Summers said that the promotions recognise their contribution to the business, especially over the last few years where significant projects include a new Ferrari after sales service facility, aircraft hangars at Lee-on-the Solent (part of the Solent Enterprise Zone) and numerous education, industrial and residential projects spread across the UK. “We are delighted to announce these promotions and look forward to 2018 being our most productive and exciting year since launching Boyle and Summers 3 years ago, and recognise that this is thanks to a fantastic team effort,” said Richard Summers. Boyle and Summers employ a full time team of 13 qualified Architects, Urban Designers and Technologists. They currently have 30 live projects located between Cornwall to London. A cold winter afternoon is not the best time of year to stand on scaffolding to top out a new 3 storey visitor building near Chichester, but the Aldingbourne Trust did not want to let the chance to celebrate the progress made by Fareham based Amiri Construction on the £4 million project go unrecognised. As Aldingbourne Trust helps to give adults with learning disabilities real choices and more independent lives, the trust’s Managing Director Sue Livett invited one of the original people supported at the Country Centre, Paul Dunne, to perform the topping out by nailing the first of the shingle tiles to the roof and for many of the staff, clients and trustees to enjoy a tour of the site. 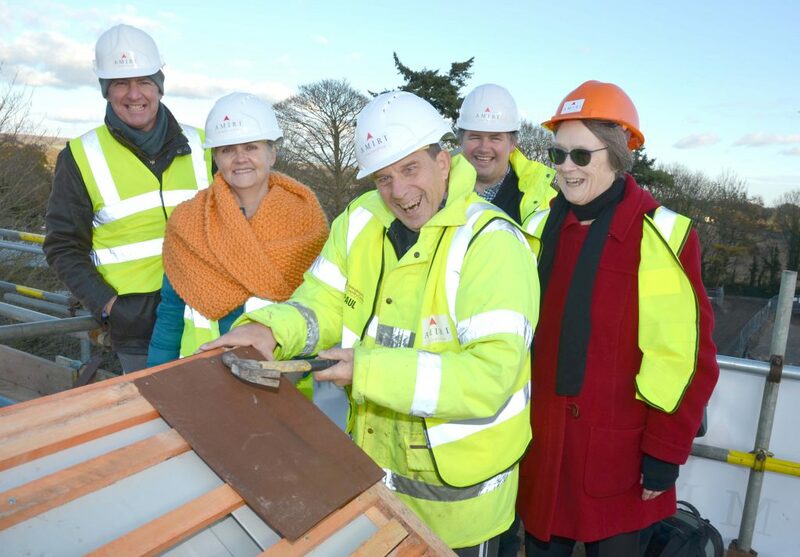 The VIP’s including Aldingbourne Trust’s Chair Frances Russell, Amiri Director Mark Vincent and the Project Manager Adrian Harvey, cheered as Paul vigorously hammered in one of the 32,000 cedar tiles. When completed in 2018, the new facilities designed by Chichester based Architects HNW, will have seating for 100 people and will comprise of a new entrance to the centre, shop, WCs and accessible changing facilities, a modern Café for visitors, extra staff offices and car park. “The positive difference that the new Centre will make to the people we support, our visitors who enjoy a great day out, and our hardworking volunteers and training staff, will be immense! We provide real skills, care and jobs in a very 21st century way. Strong partnerships between social enterprise and charity fundraising helps to give adults with learning disabilities real choices and more independent lives,” said Sue Livett. The charity is now appealing to generate additional funds to increase the support that they provide to people with learning disabilities across Sussex. Please visit www.aldingbournetrust.co.uk for contact info and additional information. (from left) Mark Vincent, Sue Livett, Paul Dunne, Adrian Harvey and Frances Russell on the roof of the new Conference Centre. A Poole based accountancy firm has become one of the latest new business start-ups to join the Dorset Chamber of Commerce and Industry. 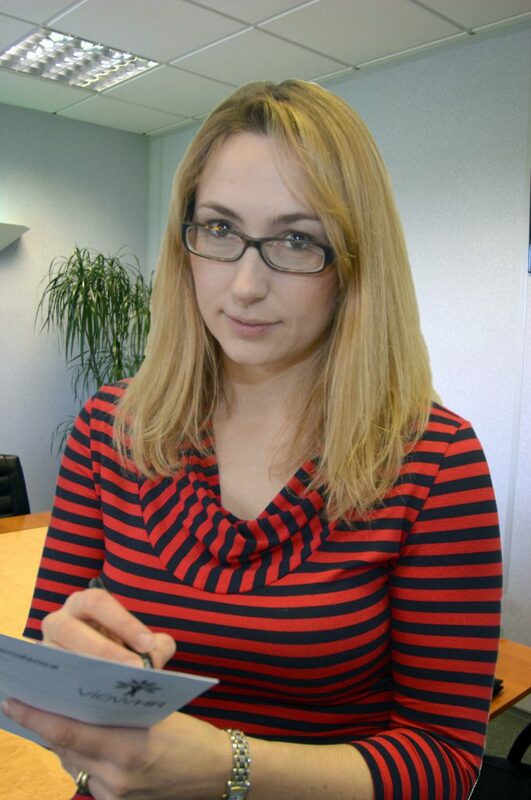 Natasha Fowler has launched CrystalPoint Accountancy Ltd following 10 years’ experience in a variety of accounting roles, including PamPurredPets that was recently acquired for £6 million. Ian Girling, Chief Executive, at the DCCI, was invited to officially launch CrystalPoint where he took the opportunity to present the membership certificate. 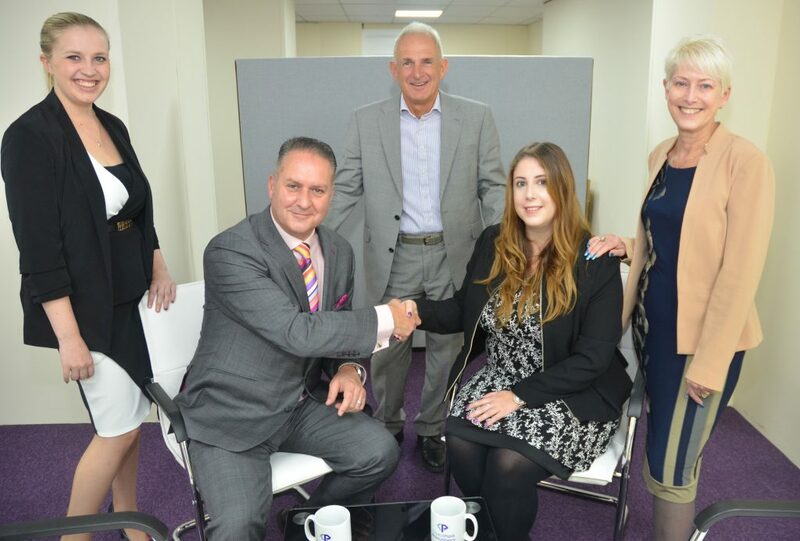 “I’m pleased that Natasha and her team already has a client base of 10 businesses. Despite the economic climate, there is still an abundance of new business start-ups. Many of these will grow to offer more employment and generate wealth within the region. As the DCCI we help and encourage the business community to grow and prosper, share ideas and find value from their membership,” said Ian Girling. Natasha says she has already used discounts offered through the chamber’s membership to keep the cost of equipping the premises in Upper Parkstone down and will use the networking events and other promotional options to build the business. (standing from left) Naomi Larry Steve Fowler Debbie Fowler. 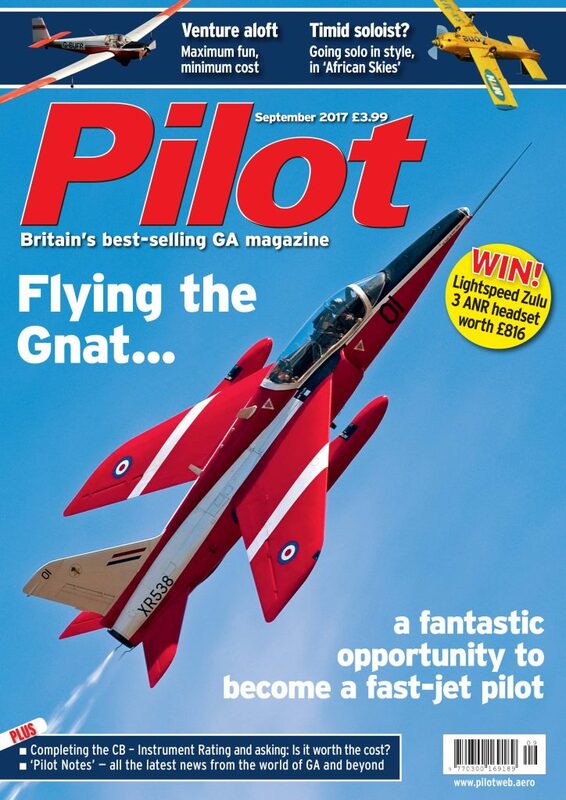 Pilot magazine describes the experience of flying a former Red Arrows Gnat. It also explains how someone can join the elite team of pilots and support the heritage flight. 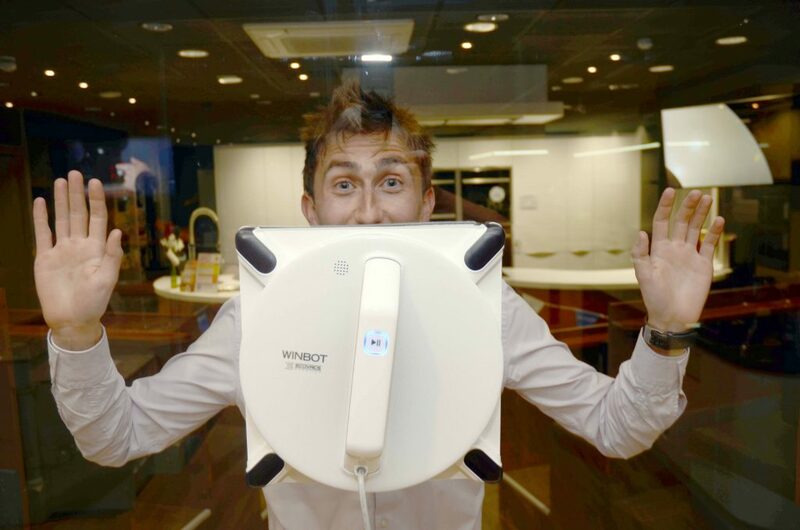 “We are delighted with the sales over last week since we have demonstrated the Winbot which is appealing to owners of commercial and residential properties who don’t want to wait for window cleaners to have clear smudge free glass,” said Ed Griffiths. National Award winning Purewell Electrical was founded by Arthur Griffiths in 1950 in Christchurch and is now a £5m turnover family business employing a team of 28 people. As well as new to market products, Purewell offers a wide range of well-known brands from manufacturers within their key departments including TV, Audio, home appliances, photography, Kitchen, Bathroom and gadgets/computing. 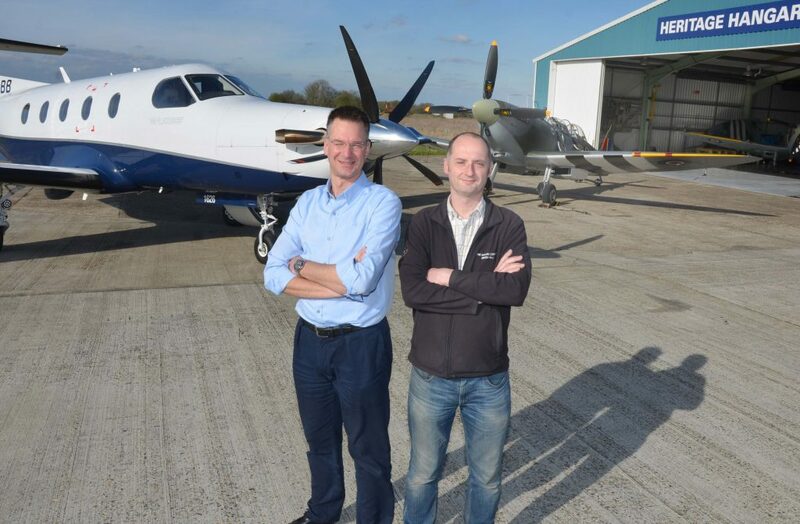 Two Biggin Hill Airport based specialist aircraft companies have announced a competition for which the prize is a special formation flight. The Biggin Hill Heritage Hangar, where single and twin seat Spitfires are restored to full flying condition, and Oriens Aviation who are the UK distributors for the Swiss manufactured $5m (USD) Pilatus PC-12 NG executive aircraft, will offer the lucky winner of the online draw to have a flight in a two-seat spitfire, whilst up to 8 of their family and friends can have a rare opportunity to view the Spitfire in formation. One of the two seat Spitfires used for the experience flights was converted by the RAF from a single seat version that saw action and is credited with kills gained by its 19-year-old Royal Canadian Air Force Pilot Officer Sid Bregman who flew with 441 Squadron. The Pilatus PC-12 NG executive aircraft that will fly in formation will be flown by Edwin Brenninkmeyer, who gained his pilot’s license at the age of 17, and he flies former Red Arrow Gnat trainer as a hobby when not selling new PC-12s. “My mission will be to give our VIP passengers a very stable, pleasant flight as we fly with the Spitfire so they can get some great air to air photos and enjoy the freedom of flying in a luxury executive aircraft,” said Edwin. The draw will take place on 30th September 2017 from entries that answer the follow question correct. Which World War did the Spitfire help us to win? Entries can be posted to the Heritage Hangar at Biggin Hill or be submitted on-line by visiting www.flyaspitfire.com/spitfire-and-pc12-formation-flight-draw where the competition terms and conditions can also be found. Tours are offered at the Heritage Hangar which is home to the largest gathering of Spitfires anywhere in the world. Edwin Brenninkmeyer and Paul Campbell with the PC-12 and two Seat Spitfire. The sponsors will now comprise of contractors Acheson Construction Ltd, architects and masterplanners Boyle+Summers Ltd, property and construction consultants Gleeds, and consulting civil and structural engineers WFBA. Each of the companies will be responsible for the organisation of this important networking event, and selecting the invitees from a range of professionals including Developers, Contractors, Project Managers and Cost Consultants, Consulting Engineers, Architects, and Planning Specialists. 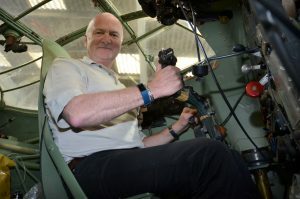 Martin Stewart, Managing Director of the Dorset based Stewarts Garden Centres, achieved a lifelong ambition to sit the cockpit of a world war two De Havilland Mosquito bomber, the type that his father few in action with the RAF’s 82 Squadron in Burma. His guide was Bob Glassy, Project Leader at the De Havilland Aircraft Museum in Hertfordshire (Junction 22 on the M25) where he and his team restore 3 variants (including the prototype) of the composite “wooden wonder” aircraft that was immortalised in the 1964 film “633 Squadron”. Martin explained that Squadron Leader Edward Stewart, who learnt to fly in another famous de Havilland aircraft, the Tiger Moth biplane, did not give up flying after the war and as a private pilot had the opportunity to take a Dakota transport aircraft on a ferry flight to America. Whilst travelling up the East Coast on his way from Florida to Toronto before the trip home, Edward visited some of the first dedicated Garden Centres. In the Stewarts archives is the letter that Edward excitedly wrote to his wife in 1955 explaining that their nurseries in Ferndown should adopt the process of selling plants in the containers in which they were grown as part of a cash and carry style Garden Centre. He returned to the UK in the late summer of 1955 and opened the Country’s first Garden Centre at Ferndown in October 1955. “Had my father not joined the RAF and loved flying he many never have seen the popularity of the Garden Centre concept in the US. By the 1960s he had helped to change the way gardeners could easily select and purchase plants, and gardening equipment by opening ‘Garden-Lands’ at Christchurch in October 1961. He even placed a café within the building, which we all take for granted today,” said Martin Stewart. The Stewarts garden centres continue to expand. Last year they announced a multi-million pound refurbishment and rebuild for their Broomhill Wimborne Garden Centre and Nurseries, and acquired the Abbey Garden Centre in Titchfield, Hampshire. The Stewart Family gave all of Edwards flying records to Dorset Archives 20 years ago. 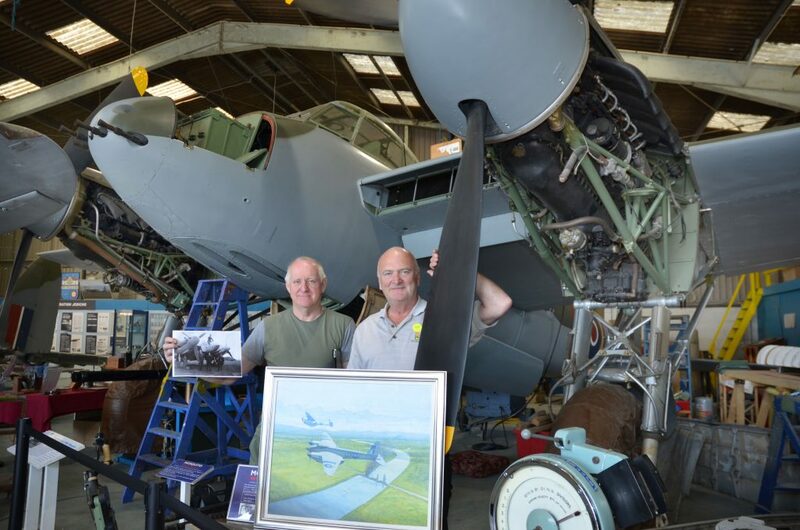 Martin commissioned a painting by Guild of Aviation Artists member Robert Calow depicting his father’s Mosquito in action, and still has a few photos of the Squadron Leader with crew members and his particular attack aircraft. Bob Glassy and Martin Stewart with the painting of his father’s aircraft in action. 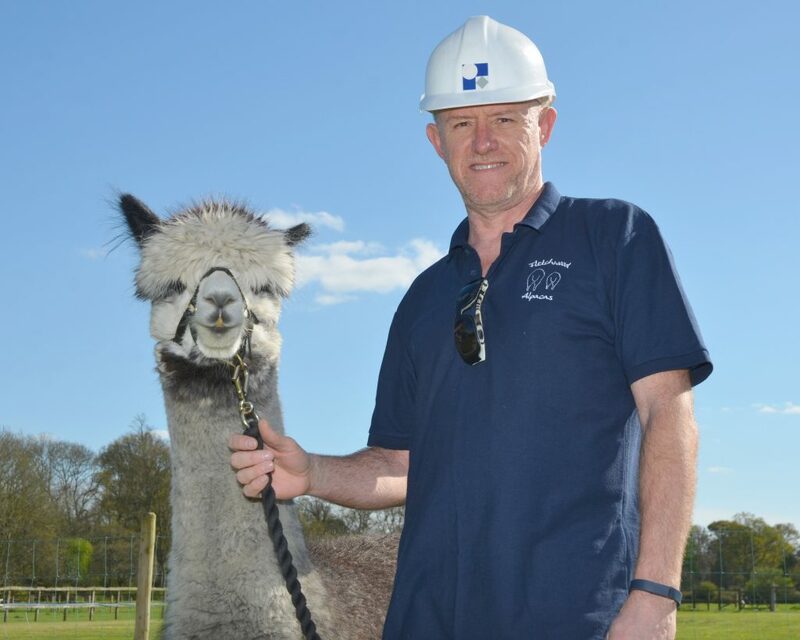 When not working on multi-million pound construction projects for clients including McCarthy & Stone, Travelodge, and Southampton University, and some of the UK’s leading Architects, Andy with his wife Sally care for 6 male and 7 female Alpacas. After 4 years of breeding, five of the animals have gained top awards in local shows, including 1st in Class and reserve Champion at Romsey Show, 1st in Class and reserve Champion at Ellingham and Ringwood Show and 1st in Class and Champion at Honiton Show. Andy Davis with Yoko who won First in Class at the Romsey Show. 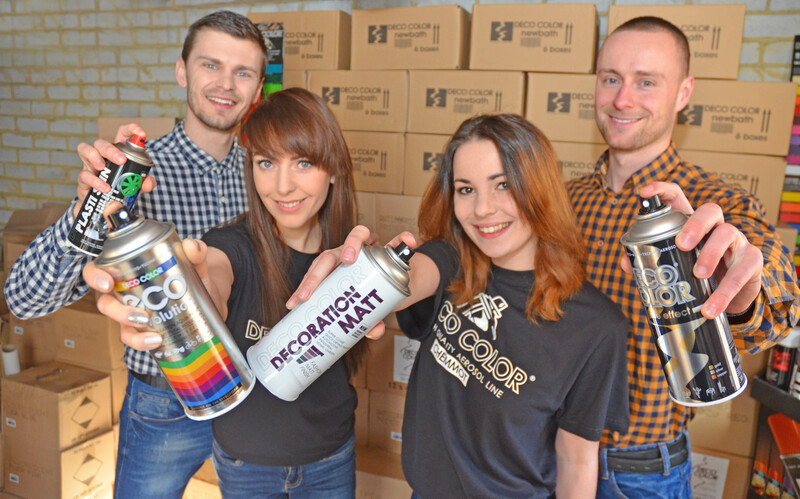 Dariusz Kosek and Lukasz Porebski from Skawina near Krakow, Poland, arrived in the UK in May 2016 with the opportunity to create a UK based import and distributorship for Poland’s major aerosol paint manufacturer Deco Color aerosol line. Darius, a former member of the Polish army, and Lukasz, who works part time for Deco Color as the Export Sales Manager, do not seem concerned about the impact that the UK leaving the EU will, or will not have. Considering the brief time that they have been renting a property in the East Dorset suburb Ferndown, and Dariusz holds a full time job to support the income required to make ends meet, they have already created a website for POKO limited and now sell selected products on e-bay and Amazon. DIY and car products, not just paint but various finishes and protective treatments, are amongst the more popular products out of the range of over 40 different lines they can supply. Sarah Has Pink Cadillac Drive As Star Treatment Winner! If you spotted a Pink Cadillac driving in Bournemouth on Mothering Sunday you may have seen a super star mum! Sarah Annett, 45 from Throop won the Castlepoint Shopping Park’s Mothering Sunday competition after her daughter Molly nominated her as being an inspirational, strong, amazing woman and mum. Sarah was joined by other nominated Mothers who also had their names placed on stars on the shopping mall floor similar to the Hollywood Walk of Fame on Hollywood Boulevard. 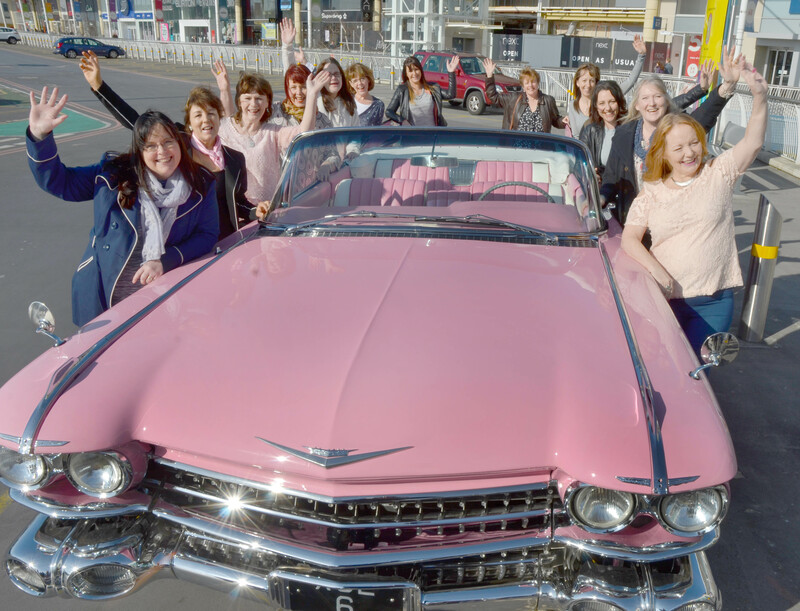 Sarah prize package included a ride in a 1959 Pink Cadillac formerly owned by the screen goddess Diana Dors, and £400 worth of vouchers for clothing and hair and beauty treatments, and use the skills of professional personal shopper Liz Ryles. The Cadillac, given to the star by Shepperton studios, was one of two she owned. One was driven in the USA and one seen on British roads. “It was a fun chance to anyone to nominate their mother for a very special treat and show that they really appreciate the love and care that a mother brings to a child’s life,” said Anna Proto, Marketing Manager at Castlepoint. Photo Captions: Sarah Annett (left) with fellow Star mums and the Pink Cadillac once owned by Diana Dors. 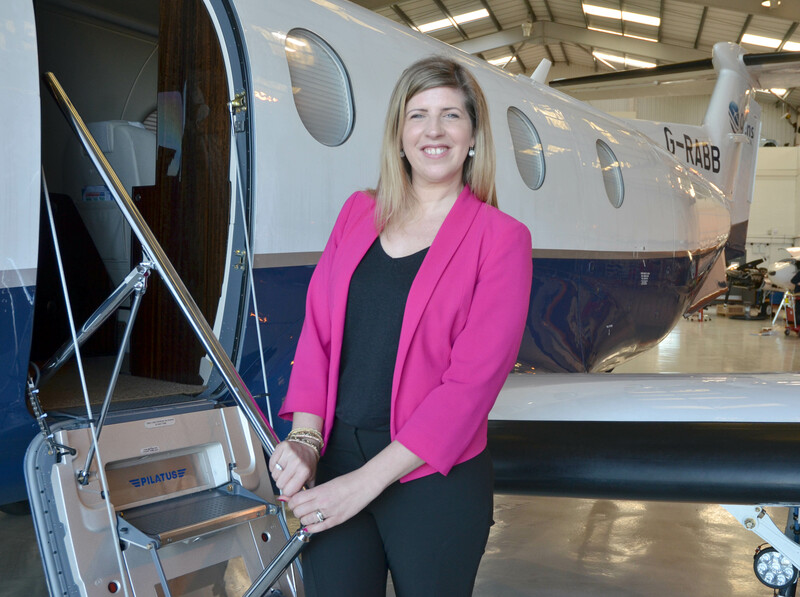 Biggin Hill based Oriens Aviation, the UK and Ireland new aircraft sales distributor for the Swiss manufactured Pilatus PC-12 NG, have appointed Charlotte Wroe as the EA to CEO Edwin Brenninkmeyer and Office Manager. Charlotte, originally from Lee, South East London returned from Ireland having worked in international marketing for the Shannon region, then focused on promoting opportunities and services for Shannon airport. Between the age of 13- 16, she was a cadet in the Air Training Corps during which time she enjoyed every opportunity she had to fly with the RAF. During a period of consultancy work in London, Charlotte, who now lives in Snodland saw the advertisement for the role supporting the promotion and sales of new Pilatus aircraft, and realised that the job description matched her skills and ambition. Edwin Brenninkmeyer, says he is delighted to welcome Charlotte to the team at dynamic point in the ongoing success of the 9 seat, $6m (USD) Pilatus PC-12 within the UK. The PC-12 is used by flying doctor services and as surveillance aircraft by various government agencies.